If you’re in the market for an electric shaver, there’s a strong chance you’ve looked into Norelco’s line of shavers and grooming tools. Norelco is one of the preeminent brands on the market, and their shavers are widely available at some of the biggest in-store and online retailers in the country. One of the company strongest sellers is the Norleco 4100. Formerly known as the PowerTouch, the compact-but-powerful 4100 has been a user favorite and a popular purchase for a number of years. This article will overview the Norleco 4100, touching upon the product’s distinguishing features, comparing the costs of similar models, and assessing the shaver’s strengths and weaknesses. Read on to learn more. What is a Norelco 4100? The Norelco 4100 is a wet-and-dry electric shaver from Phillips Norelco, one of the most established brands in the industry. The 4100 was formerly known as the PowerTouch and continues the prior mode’s tradition of being exceptionally easy on the skin. Like other Norelco wet-and-dry shavers, the 4100 uses the AquaTec seal to guarantee a smooth, consistent shave in the shower or in dry conditions without shaving gel. This model uses a patented “Super Lift and Cut” dual-blade system to trim hairs below the surface of the skin. The shaver also uses a low-friction head system with rounded edges to provide additional protection to the user’s skin. Beyond that, the 4100 includes a pop-up sideburn trimmer and edger, has a 50-minute runtime based on an hour-long charge, and is easy to clean and care for. Why Choose the Norelco 4100? The 4100 has a number of features included on more-expensive shavers packed into a pleasing, cost-effective shaver. The cordless and portable 4100 is easy to take on trips, and easily moves from the shower to the sink and back. The motor is quite strong, and used across a number of shavers within Norelco’s 4000 series line. The Norelco 4100 is an Amazon Choice product, and currently has over 2500 positive reviews on Amazon. Professional reviewers and customers alike enjoy the Norelco 4100, and most find it to be an easy-to-operate, high-value purchase. Like many Norelco products, the Norleco 4100 comes with a two-year manufacturer’s warranty, as well as a 45-day risk free trial. Users on the fence about this model or electric shavers, in general, have solid protection from Norelco, and have ample incentive to try the product. There are innumerable alternatives to the 4100, both in-house and otherwise. The decision between the various shavers on the market comes down a user’s individual needs, and what the buyer is prepared to pay for an electric shaver. The Norelco 4100 is one of the less-expensive electric shavers on the market. The Norelco 4100 is fairly affordable, attributing to its strong rate of sales. Within the Norelco electric shaver line, alternatives include the Norelco 4500, 5500, 7300, and 8900. We will briefly examine each of those alternatives below. Compared to the Norleco 4500, the 4100 is generally affordable, making many buyers wonder if the 4500 features enough upgrades to justify the additional cost. On paper, the two shavers are basically identical, and professional reviewers seemed to agree that there were few, if any, features distinguishing the 4100 from the 4500. Meanwhile, the Norleco 5500 can be considered a beefed-up version of the 4100 or 4500. Featuring a turbo-charged motor for 10% more power and five directions for a more refined shave, there are clear reasons to consider the 5500 as an upgrade to the Norelco 4100. The Norleco 5500 also features the SmartClick Precision Trimmer, a feature that shavers such as the 4100 and 4500 cannot boast. As you can see, there are enough features separating the Norelco 5500 from the 4100 that buyer can consider upgrading the 5500 for the additional cost, particularly if a user finds the 4000 series to be a bit underpowered or values the SmartClick system. Next up is the Norelco 7300, which is noticeably bigger than the Norelco 4100. 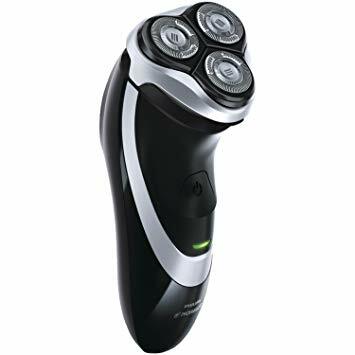 Phillips claims that 7300 is their best electric shaver for sensitive skin, which in and of itself is a major selling point for a lot of prospective buyers. The 7300 uses a shaving system called the Gentle Precision PRO blade system, which is more sophisticated than the system seen on more compact shavers such as the Norleco 4100. Like some of the more expensive Norleco shavers, the 7300 comes equipped with the SmartClick Precision Trimmer, and also features a cleaning cartridge for simple cleanup. The 7300 also comes with a charging stand, which the Norelco 4100 does not. While it’s indisputable that the 7300 is superior in several respects to the 4100, its cost is more expensive than the 4100. This increase in cost is significant for many buyers, which might help explain why the 4100 continues to outsell both models despite being quite a bit older. The last Norelco unit to consider is the Norelco 8900, which the company boldly claims provide “perfection with every pass”. The 8900 has eight points of articulation and uses Norelco’s advanced V-track system to give the user a truly exceptional shave. The unit comes with the SmartClick Beard Styler, uses the SmartClean cartridge system, and lubricates for easy passing and user comfort. Like most other high-end Norelco products, the 8900 is backed by a two-year warranty against manufacturer defects, and comes with a 45-day trial period. The sticking point with the 8900 is again the cost. Having a hefty price difference, the 4100 and 8900 aren’t really catering to the same buyer. As you can see, there are plenty of alternatives to the Norelco 4100 just within the company umbrella. But it’s worth repeating that even among all of the Norelco electric shavers available, the 4100 continues to be a strong seller for the company, indicating a good level of user satisfaction and product interest. 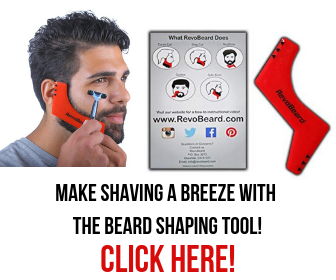 There is no shortage of electric shavers on the market, and a buyer can spend anywhere from $25 to $250 USD on a shaver depending on how much they’re willing to invest and how sophisticated they want the shaver to be. As such, when looking at competitor alternatives to the Norelco 4100, you’re not only looking for electric shavers within the same price range as the 4100, but also shavers which outperform their price-point. Among the chief competitors to Noreclo is Braun, which produced a similarly-sized line of electric shavers at comparable price-points. The Braun product that most closely aligns with the Norelco 4100 is probably the Braun 3 Series 3040s. 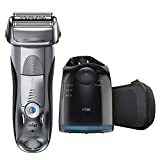 This electric shaver is available for almost the same price as the 4100 ($69.95 from most outlets), and offers very similar features and performance. As the name implies, Braun 3 series shavers use a triple action cutting system, which consists of three independently floating elements. These elements wrap and contour a shaver’s face for optimal closeness and gentleness. Like the Norelco 4100, the Braun 3 Series 3040s is cordless and can be used in wet or dry conditions. The unit needs an hour-long charge to yield a 50-minute runtime and can be cleaned with the use of an included brush under running water. Customer reviews paint the Braun 3040s in a positive light, with one customer writing that the shaver provided “the fastest, smoothest, non-irritating shave I've ever had.” Like the 4100, the Braun 3040s is known for working well on sensitive skin. Most other reviews were similarly lavish, and the consensus seems to be that the unit provides well above-average performance at a very acceptable price. In this way, the Braun 3 Series 3040s strongly mirrors the Norelco 4100. Braun, like Norelco, is a juggernaut within the electric shaving world, and offers over a dozen electric shavers within different pricing tiers. As with Norelco, the question becomes what a buyer is willing to pay for additional features, as well as the value the unit provides compared to other models within the line. For buyers willing to spend a bit more, the Braun 5 Series 5040s is considered by many reviewers to be a marked upgrade on the 3040s. This view isn’t a slight to the 3040s, but the Braun 5 Series build in enough value to make it a worthwhile upgrade for the price difference. The Braun 5040s uses an upgraded motor featuring “AutoSensing” technology that gauges the thickness of a user’s hair at particular points on his face, and adjusts the power of the shave accordingly. This is a key performance feature that places the Braun 5 Series in a higher tier than many other mid-level shavers. The 5040s also uses two other technologies unseen in the Braun 3 Series: MicroMotion, which suspends the cutting motion as the shaver approaches any contour, and MacroMotion, which keeps the shaver in contact with the skin at all times for maximum closeness. Given the minute price difference between the two models, it’s probably worth investigating the model a bit further, unless you strongly prefer Norelco. Another competitor to the Norelco 4100 is the Panasonic ES8103S, which is priced almost identically to the Norelco 4100 and the Braun 3 Series 3040s. The ES8103S is one of Panasonic’s Arc3 electric shavers, and like the Norelco 4100 is known for providing high value at a palatable price-point. A main difference between the Norelco and Panasonic series shavers is that the Norelco shavers use rotary heads, while the Panasonic series uses a “a multi-fit arc foil” on a swivel. There is a marked difference in feel between the two brands, and one style might immediately appeal to a user versus the other. But both perform quite well for their price. 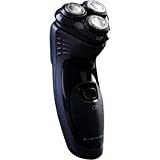 Aside from the stylistic differences between Norelco and Panasonic models, the 4100 and the Panasonic ES8103S have very similar features: both are cordless with wet-and-dry function, both take an hour charge to provide 45 minutes of runtime, and both feature a pop-up sideburn and beard trimmer. Neither shaver has a self-cleaning function, but both are extremely easy to clean and maintain. Panasonic is something of an up-and-comer within the electric shaver world, and while Panasonic does not have the market share of either Braun or Norelco, the company has created a foothold within the industry and has a fair number of staunch proponents. 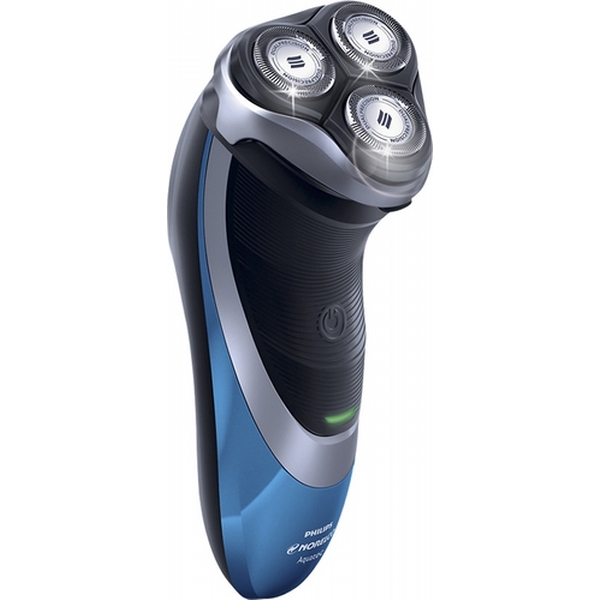 Lastly, the Remington WETech Rotary Shaver was voted as “the best electric razor for travel” by a number of outlets. The lightweight Remington WETech deserves consideration as an alternative to the Norelco 4100. While the WETech does not boast the power or the versatility of the other models on this list, with a length under six inches and a weight of just 5.6 ounces, it’s easy to argue that the WETech is the most portable of the group. Given the cost, the Remington WETech Rotary Shaver is probably worth checking out as a slightly less expensive, travel-friendly option. The advantages of the other models noted, the Norelco 4100 provide a ton of value in an affordable package. Norelco has a well-deserved reputation for churning out quality electric shavers, and the small-but-powerful 4100 is no exception. 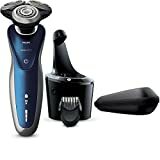 While there are certainly bigger and more expensive electric shavers available on the market, the Norelco 4100 stacks up well to almost all of them, and given that the 4100 can cost one-third or less than some other razors, we recommend you give it a look before overspending elsewhere.